Mmm! Pop! Vinyl Figures have never tasted so sweet! Salute those delicious breakfast puffs from your childhood with this Pop! as icon release. 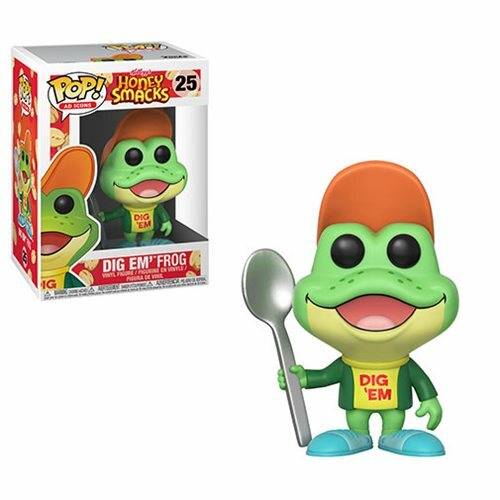 The Kellogg's Honey Smacks Dig Em' Frog Ad Icons Pop! Vinyl Figure #25 measures approximately 3 3/4-inches tall and comes packaged in a window display box. Ages 3 and up.